Coimbatore (Tamil Nadu) [India], May 14 : The 112 feet tall 'Adiyogi' Lord Shiva steel statue situated in Coimbatore at the Isha Yoga Centre, has been declared the world's largest bust by the Guinness Books of World Records. Prime Minister Narendra Modi had unveiled the statue on February 24 this year. 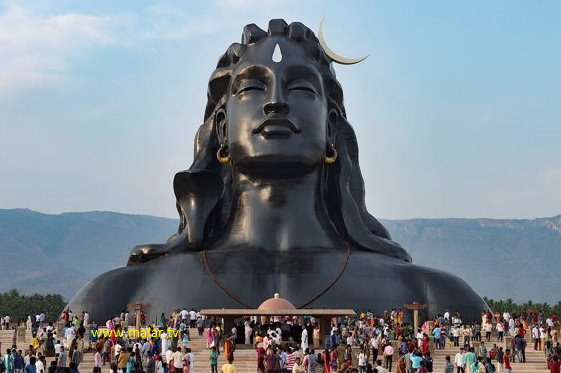 Speaking about the Guinness record, the representative said, "The 'Adiyogi' is the source of yoga and to create awareness among the people about adiyogi science , this 112 feet tall statue had been consecrated by Prime Minister Modi during February this year." "It took thirty months to design and eight months to erect this statue, adding that now this statue had entered into the Guinness Book of World records," he said. The face of Adiyogi, set up by the Isha Foundation led by spiritual guru Jaggi Vasudev, attracts thousands of people every day.